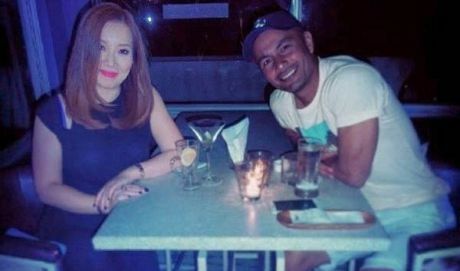 Did Kris Aquino ditch Bistek for Derek Ramsay? April 3, 2014 - by Kate Natividad - 11 Comments. The speculations started when Kris posted a quote about having a second chance in love on her official Instagram account on Tuesday and thanking Derek Ramsay for always being there for her. Don’t look now, but the First Sister is all giddy. Jeez. You’d expect a bit more level-headedness from a 43-year-old. Speaking of which, Derek is just 37. No spring chicken himself, of course. But that’s still six years mommy-o’s junior. No statement from the Derek man himself. Which is ok, I guess. It’s hard finding too many men-of-few-words nowadays. They’re all a bunch of narcissist talkers out there. Do they still teach kids in school to speak only when they’ve got something to say? I digress of course. But this is showbiz chizms where, I suppose, anything goes and you go wherever the talk takes you. So, yeah, Derek Ramsay. I wonder what he has to say about all this? Or is he sitting in front of his screen reading all this news and turning all red-faced? And what about Mayor Herbert Bautista? Thing with guys is getting some info out of them is like pulling teeth. You wonder, though, if all this buzz is really all just that — buzz. After all, elections are coming up. Gotta start ratcheting up the media exposure, specially when you come from a family of dull stodgy siblings. Previous Article Philippine military under the command of a schizophrenic nymphomanic civilian government! Kris REALLY IS needy! How could she say something like “a boy with a glue gun” when it appears she just met Derek? I bet it’ll only be a matter of time before Derek Ramsey tires of her histrionics. KSP is the root of all evil. As with all news Kris, the more insignificant on the who cares scale the more likely it originates from that bastion of good sense ABS CBN. Yes the same one Proud Pinoy calls a credible source. If you measured pansin in droplets of water the Pacific Ocean will not satisfy Kris Aquino. Then again when the Joey incident happened ten years ago apparently she cried the equivalent of the Pacific Ocean on TV and on cue. Nothing speaks so lowly about us the Filipino people than the fact that we find this woman credible. When Kris aquino fell out of the whore tree she banged every guy on the way down. Apart from opening her mouth at every opportunity, opening her legs is the only exercise she gets – hence her name, middle aged spread-em! Queen of the Balls – had more balls in her mouth than Hungry Hippo – Like sister, like brother! Dude, You had girlfriends all filipino guys dreamed of, from Solenn to Christine. What happened? Wow. Why is this relevant? And why should intelligent Filipinos care? Articles like this do not belong in the GRP site. Actually Kate Natividad, you and your superficial articles have no place in the GRP website. How the people in charge of this site decided to give you space is one of life’s greatest mysteries. And for the record, I know Derek from school and he’s way older than 37. Ever heard of “showbiz age”? If you’re gonna waste GRP space for showbiz news, you might as well do some research. To the GRP admins, get this person out of here ASAP. She only serves to destroy what this website stands for. Note the section in the site where this article is headlined… Glitz and Glamour. There you go. Don’t like? Then don’t read. As much as I have a certain disdain towards showbiz-related articles, this was in the right category..it’s hard to unread once you’ve read it but you can forget it and move on to something else which I can at least suggest to you Kent. Of course it is relevant. Don’t forget Noynoy would not be where he is because of Kris. Pinoys have a Showbiz government . The line between artistas and politicos are so blurred. The day Pinoys don’t vote nuisance artistas or nuisance anything then maybe you have a point. Otherwise Kate is as legit as they come. Hmm I did some quick research with regards to age..well I guess she can still do it even at that age..as long as she can still do ‘you-know-what’ and produce another..well that’s just about it. Bakit ganun minsan naman Kris seems like a very intelligent person.. pero ito naman ayaw paawat.. She is not young anymore para intidihin pa siya.. Sana mag mature din siya para din sa kabutihan nya.